Here we will update all the frequently asked questions related to RRB Technical examination. These questions are based on very basic knowledge but sometimes candidates be confused in these questions. So, Here we created a page for providing information related to these queries about RRB Technical examination. Q.1. I have done B Tech. Can I apply for both SSE & JE post(s) ? Explanation : Candidates who have completed B. Tech. can apply for both SSE & JE post(s). Diploma in Engineering can apply only for JE post(s). Q.2. I am now in final year of B Tech. 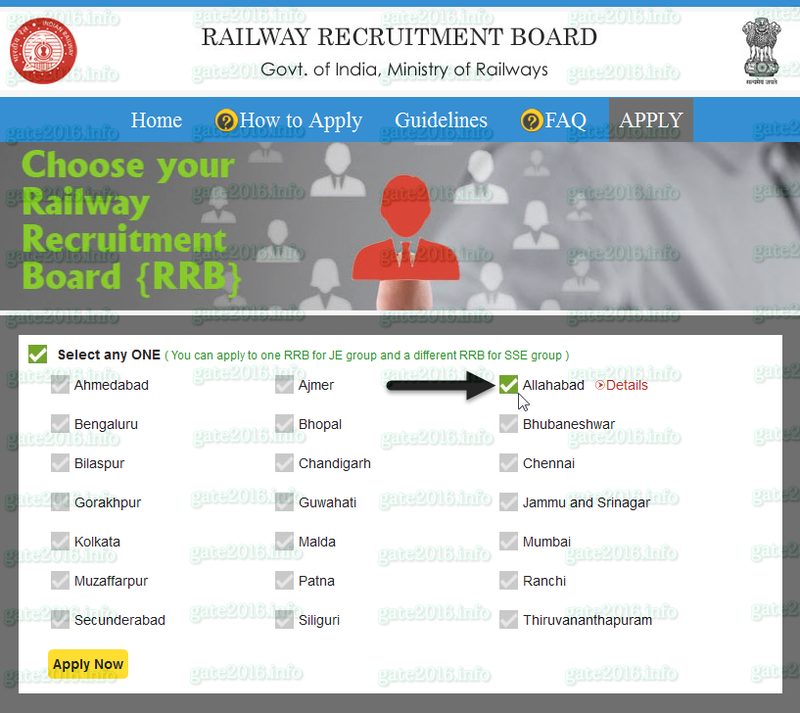 Can I apply for RRB recruitment 2015 ? Q.3. I have completed my B. Tech. degree but waiting for my final Semester/Year result. Can I apply for RRB 2015 recruitment ? Q.1. I have done B. Tech. 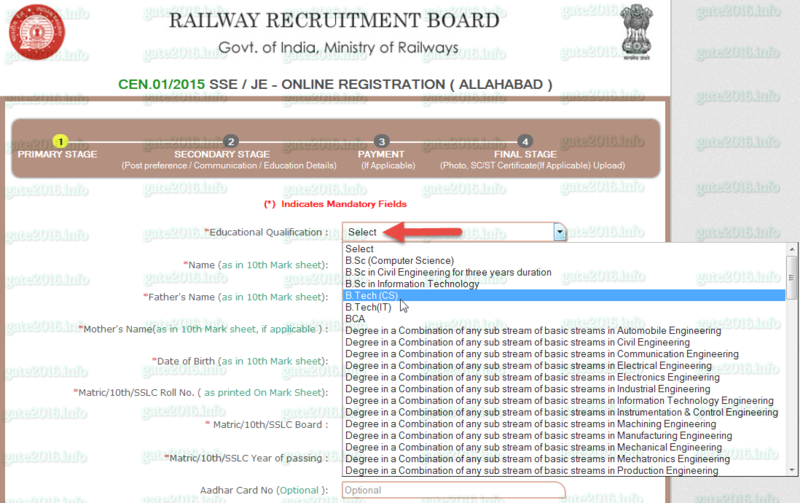 Can I apply for both SSE & JE post(s) from same RRB ? Explanation : You can apply for both SSE & JE post(s) from same RRB. Q.2. I have done B. Tech. Can I apply for SSE post(s) from one RRB and JE post(s) from another ? 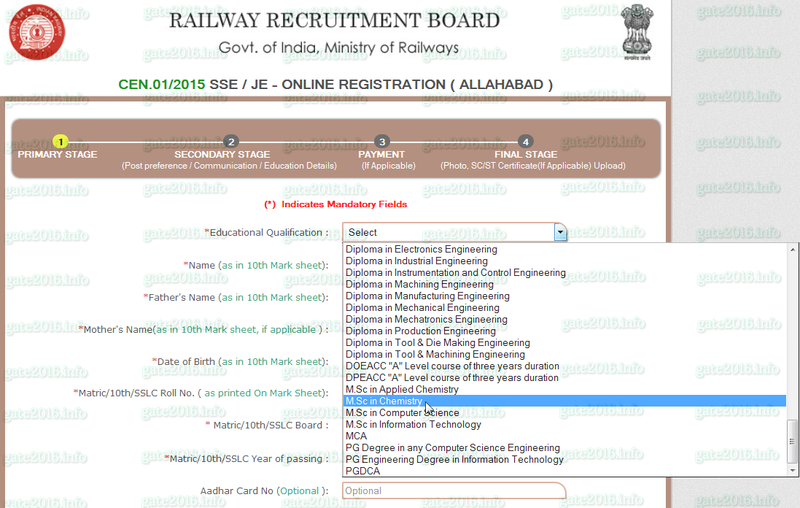 Explanation : You can apply to one RRB for JE post(s) and a different RRB for SSE post(s). Q.3. I have done B Tech in Electronics & Communication. What should I choose as education qualification ? A.3. Degree in a combination of any sub stream of basic streams in Electronics Engineering. Explanation : Electronics & Communication engineering is considered as sub stream of Electronics Engineering. Q.4. If I apply for SSE posts against RRB Patna (for example). 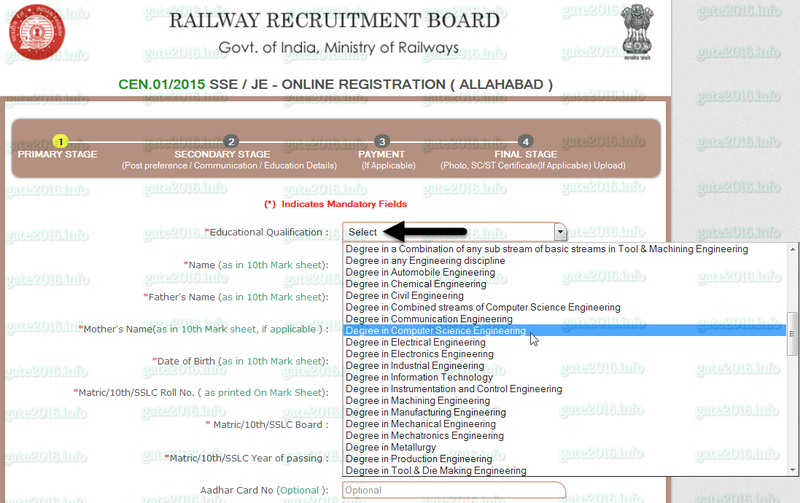 Would I be eligible for other RRB for SSE posts if I didn’t select against RRB Patna ? A.4. Notification is centralized but recruitment is RRB based. This is why you have to choose an RRB first at application form filling page. Explanation : Your exam center, selection, posting and all would be against that RRB to which you applied for SSE or JE. Q.5. I hail from Kolkata(for example). Can I apply for RRB other than RRB Kolkata? Explanation : You can apply against any one of the RRB given on RRB application form filling main page. Q.6. I hail from Punjab(for example) and I want to apply in RRB Chennai(for example) ? Would regional language be a problem in my final selection ? Explanation : You can apply against any one of the RRB given on RRB application form filling main page. Knowing regional language is not a necessity. Q.7. I have done B. Tech. in CS(Computer Science). (1) Can I apply for any SSE(Sr. Section Engineer) post ? (2) Can I apply for any JE(Junior Engineer) post ? (3) I have done B. Tech. in CSE(Computer Science Engineering). What should I choose as education qualification ? A.7. (1) There is no SSE(Sr. Section Engineer) vacancy for B. Tech. in CS(Computer Science) candidates. (2) Yes you can apply for JE(Junior Engineer) post(Post category no. – 51). (3) Three is a separate option for CSE(Computer Science Engineering) candidates in education qualification section. You must choose that. Q.8. I am trying to apply for Chemical and Metallurgical Assistant post but in education qualification column there is no option for M. Sc. Chemistry. What to do ? then click on “Apply Now”. On the primary stage three is a separate option for M. Sc. Chemistry candidates in education qualification section at the last of the list. You must choose that. Q.9. I have completed diploma in metallurgical engineering. Is there any post for my qualification ? Q.10. I have completed degree in metallurgical engineering. Is there any post for my qualification ? Explanation : You can apply for Chemical and Metallurgical Assistant post (category no – 52). Many candidates said that RRB is not answering our emails so that we created this post in order to help candidates in filing RRB application form & solving other RRB related queries. Final decision is solely depends upon the applicant. sir. i have completed my b.e in mechanical …what are the posts i can apply in rrb technical? If you follow RRB official notification you will find that there is separate column for education qualification against each post. For more detail please follow below link. Is it possible to affix other photograph on admit card other than the photograph which i uploaded during the time of registration?? sir i have eye lense with power -2.5 D , am i eligible for rrb ssc.In rrb notification it is mentioned that eye specs lense power should not exceed 2 D.does this meant that they are restricting only candidates with positive(+) power higher than 2 D .
2 D means plus and minus both. But you have eye lens with power -2.5 D. So most probably you will face some problems during medical examination. I have completed my B Tech.I have not persuded diploma in my carrier.Can i apply for rrb je post? When i select online payment through my SBH it is saying “credit does not exist” and transaction failes…but i do have suffiecient balance in my account.. Why my payment is not getting? I have opted for RRB(chennai) in application and submitted application,now is there any chance to alter my option to RRb(secundrabad)?